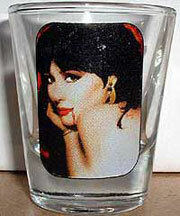 Issued in the year 2000, the Vampirella shot-glasses have to be one of the most practical /useful pieces of ephemera there is! 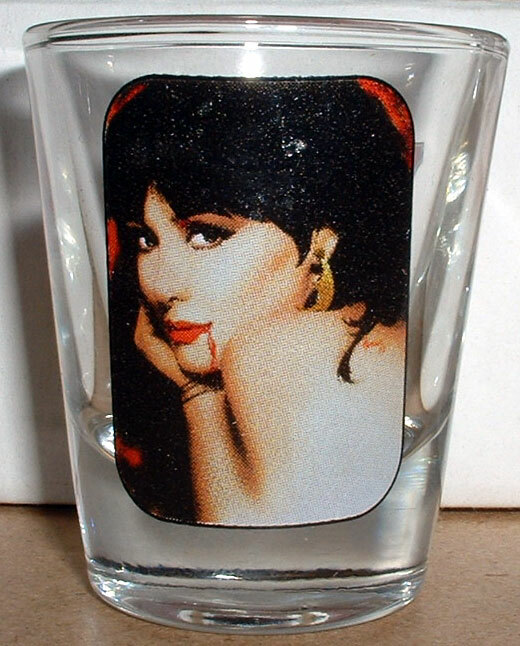 There's nothing quite as civilised as relaxing with a shot glass full of Jack Daniels (or whatever you fancy) while browsing through your favourite Vampirella magazine. 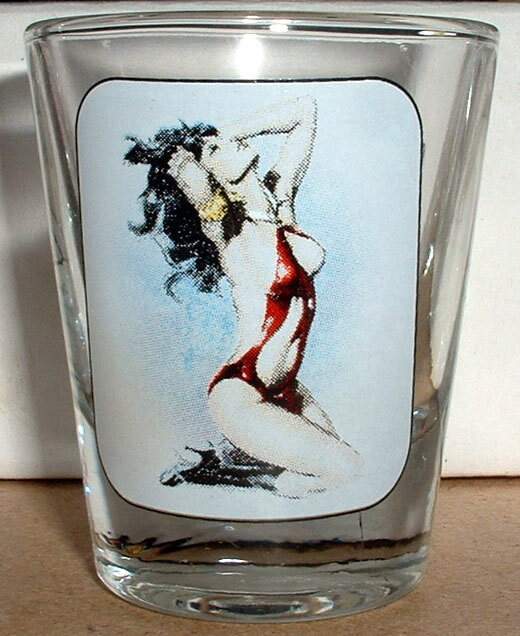 Not only do you get a matching glass for your reading pleasure, but they come as a set of three with a picture of Vampirella to suit your mood. 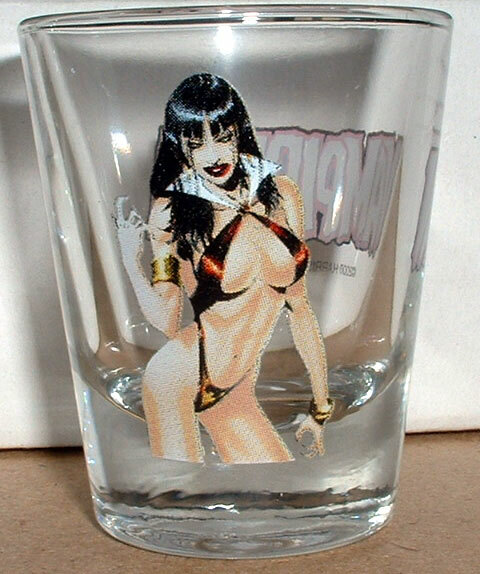 A Gonzalez Vampirella for classic Warren magazines, and a choice of a pensive or an aggressive Vampirella for Harris comics. 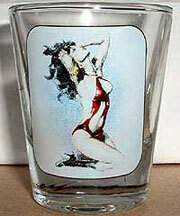 Not a "shot glass" per se, but a wineglass which has been etched with a rather nice sketch by Amorim. Seen on eBay, at quite a reasonable price in January 2011. There were only a few up for sale but I'm sure they will be available again.